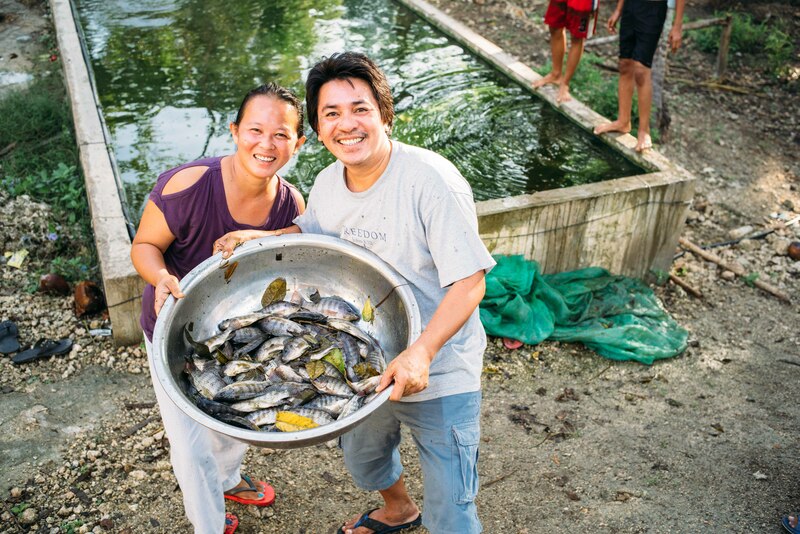 Photo: Our Cebu program directors manage the farmland as a husband-wife team. Here they’re happy to pose during one of the fishery harvests which are conducted over several days. We are happy to report that earlier this month around 3,000 mature, healthy fish were harvested at our Philippines fishery weighing in at about 2,370 pounds (1,075 kgs). We sold most of these fish in the market and received a profit of $2,559, which although it may not seem like much to Western readers, it represents about 10 months wages in the Philippines. This profit is a great blessing since these funds have been used to make improvements at our new Children’s Hope Center on our Cebu campus. The supply of protein-rich fresh fish also vastly supplements the nutrition of our students and children in our outreach programs. In November we harvested 235 coconuts from our 85 mature coconut trees, yielding a profit of $42. Our coconut grove continues to flourish with 115 trees total, including 30 new coconut trees which we planted 8 months ago — the new coconut trees will mature in 7-8 years. The younger coconuts are used in the children’s diets — after the nuts are opened, the soft sweet meat is delicious to eat, and the juice is refreshing and hydrating. Coconut milk, made from the meat of coconuts, also provides our children with nutrients including vitamins C and E, many B vitamins, and magnesium, potassium, phosphorous, and iron. Photo inset: (Top-left): Our Cebu team is proud of our banana grove, a nutritional staple in our children’s diets. (Top-right): A child enrolled in our Cebu Children’s Hope Center program receives tutoring assistance after school. (Bottom-left): Our Cebu team has maintained a hen house project which produces between 120-300 eggs per day. 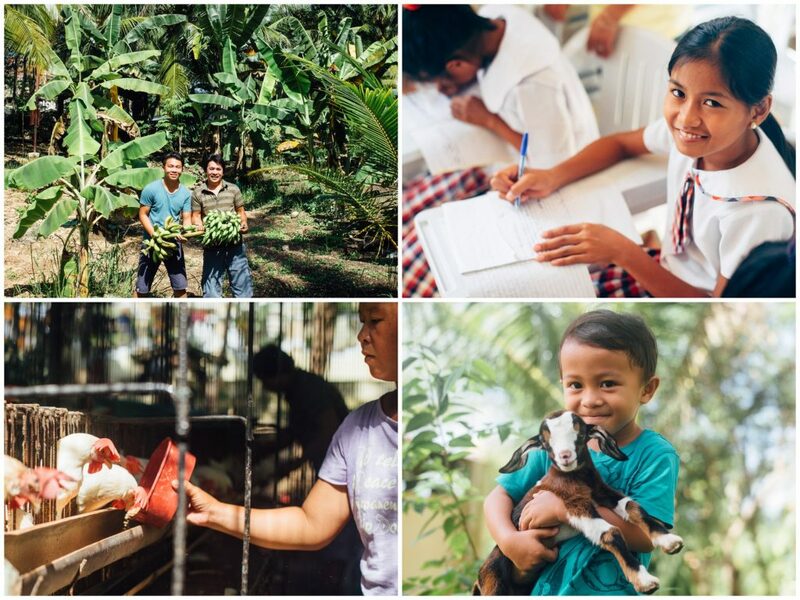 (Bottom-right): The goat farm project is one of many agricultural projects located on our Cebu campus which provides food for our program recipients and supplements funding for our Cebu programs. In addition to these profits, we recently sold two of our pigs in the market yielding a profit of $419. Our piggery is just one of our many micro-venture projects, which are valuable sources of funding for our programs. We also recently launched a free-range poultry farming project at our farmland enterprise — it includes 45 mature ducks, 39 ducklings, and 35 chickens, which are all in strong demand at the local market as well. They are easy to maintain and care for, and they will multiply quickly, yielding higher profits from our future sales. The poultry is also a healthy addition to our children’s diets, giving them a nourishing source of protein. In our continued pursuit of sustainability, our team has also maintained a hen house project which currently consists of 140 hens that produce between 120-300 eggs per day. Our banana grove continues to flourish as well, along with our goat farm project. All of these agricultural projects are located on our existing campus on Cebu, where our aid to the community includes scholarships and nutritional support for orphans recovering from child labor or abusive situations, and a weekly outreach to children in various locations around the island. With your support, we hope to throw a Christmas party for our children enrolled in the Cebu Hope Center. We hope to be able to do something similar like we did last year when the children enjoyed a special feast, each child received a gift, and they played games such as sack races, tomato dances, and apple eating contests. Such a Christmas party would bless the children and make them very happy — for many it will be the first party they’ve ever been to, and the celebration will give them a lot of hope for their well-being in the new year.